Wireless charging technology has become the standard for the current flagship phones of all brands. It is very convenient and quick to charge the phone via such chargers. However, wireless chargers are costly and it is difficult to ship with the handsets. So users have to purchase them separately. 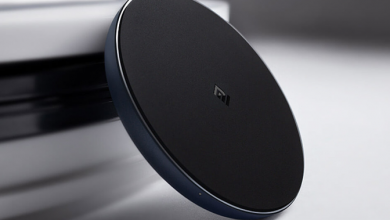 In this regard, today, a Xiaomi Eco-chain company launched the Xiaomi wireless charger (the universal fast charge version), which supports Qi wireless charging standard. Actually, it is different from the previously introduced Xiaomi wireless charger. This product can wirelessly charge more models with up to 10W. And it is only priced at 69 yuan ($10). As we said, the Xiaomi Wireless Charger (Universal Fast Charge Edition) supports Qi wireless charging protocol. 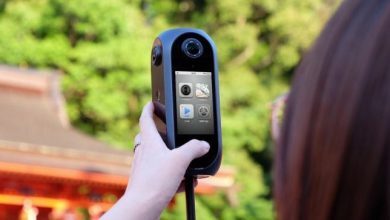 This simply means any smart device compatible with Qi protocol can be wirelessly charged through this product. This charger supports 7.5W/10W wireless fast charging capability. Say for the Xiaomi Mi MIX 2s, the iPhone 8 Plus, and the iPhone X, the wireless charging output can be 7.5W. But when charging the Samsung Galaxy S9 and other products supporting the Qi protocol, the output power can reach 10W. At the same time, it can provide up to 5W charging output to ensure the charging efficiency. This Xiaomi wireless charger has multiple security protection measures, including temperature protection, short circuit protection, power protection, overvoltage protection, foreign object detection, etc. As for the appearance, the Xiaomi wireless charger uses an aluminum alloy shell. Its body comes with an increased CNC edge process, and the high-polished secondary anode treatment. So the texture is more pleasant for touch. The upper panel is made of silicone material, which increases the friction and shock absorption effect. The body has an LED indicator, which can be used to determine whether the charging status of the device is normal or not. At the same time, this Xiaomi wireless charger has a stable sensing distance of up to 4mm. The metal-free smartphone case will not affect the wireless charging. It should be noted that, like most products, this wireless charger package does not contain a charging head. So with QC2.0 or QC3.0 adapter, you can achieve 7.5W/10W wireless fast charging, while with 5V/ 2A or 5V/2.4A charger, it can perform 5W normal wireless charging. This Xiaomi wireless charger (universal fast charge version) will be on sale on September 3 in Xiaomi Mall, Xiaomi Youpin, Tmall, Jingdong, Suning Tesco, etc.